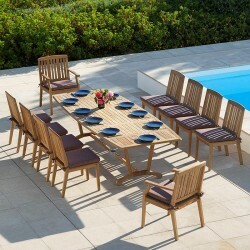 Since the 1990’s The Garden Furniture & Interiors Co. has been selling outdoor dining sets from leading luxury garden furniture brands such as Alexander Rose, Barlow Tyrie, Bramblecrest, Gloster, Bridgman, Westminster & Neptune. 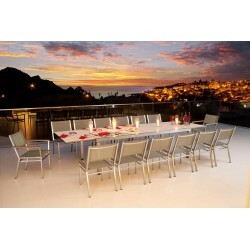 From small 2 seater outdoor dining sets to large extendable 16 seater dining sets, we have a variety of options to suit different requirements. 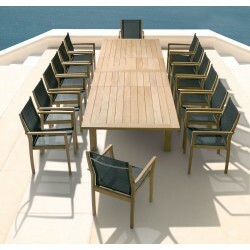 High quality materials are used in the construction of all our manufacturers’ garden dining sets including Teak, Weave, Aluminium, Stainless Steel, Steel, Roble wood, Cornis wood, Mahogany, Ceramic, Glass and more. 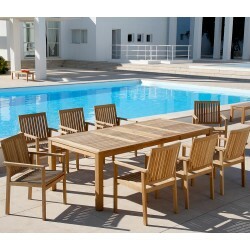 We pride ourselves on our professional and friendly customer service team and our *Best Price Guarantee, ensuring that you will not find the same garden dining set cheaper anywhere else. 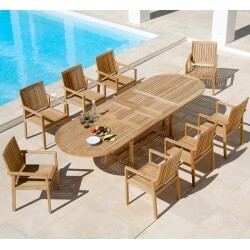 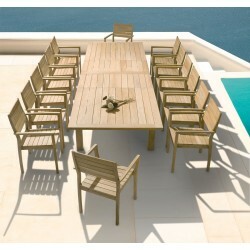 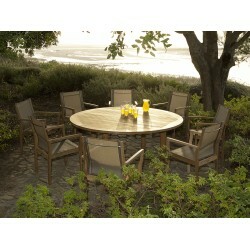 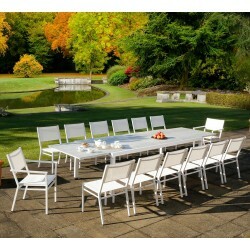 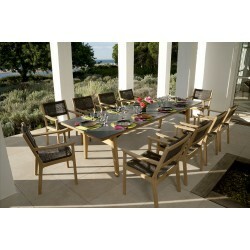 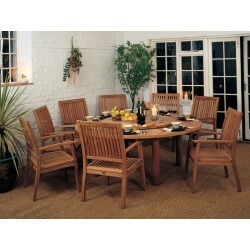 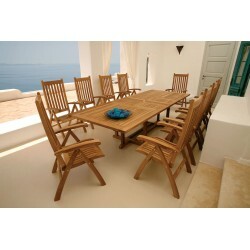 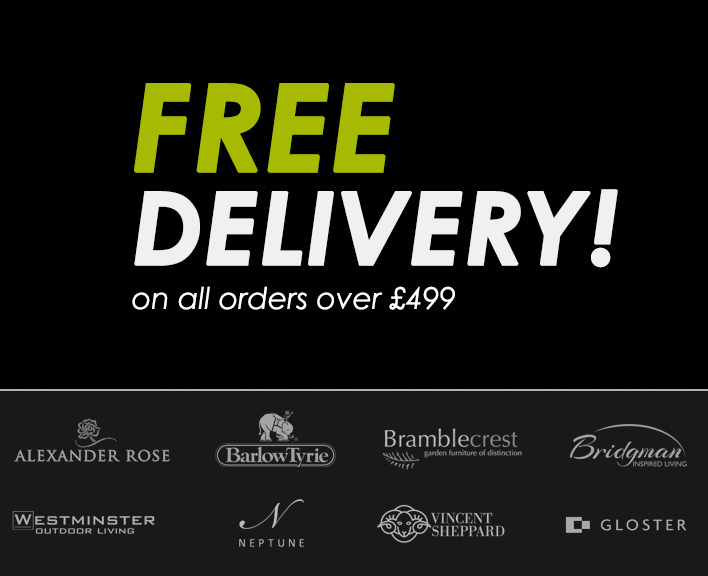 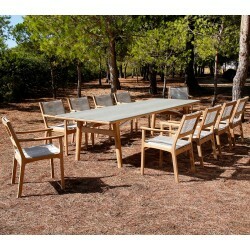 All garden dining sets over £499 come with free delivery and manufacturer guarantees from 1 to 10 years.